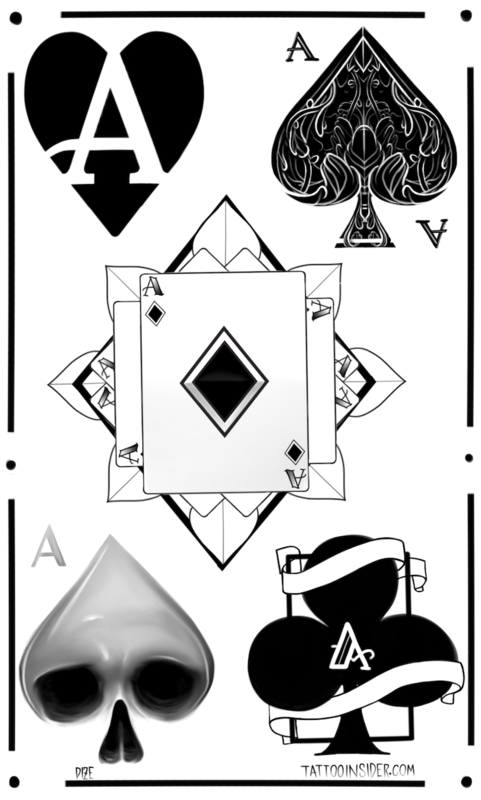 An ace originally referred to the single dot on dice, this being the lowest roll you can get and it meant bad luck. 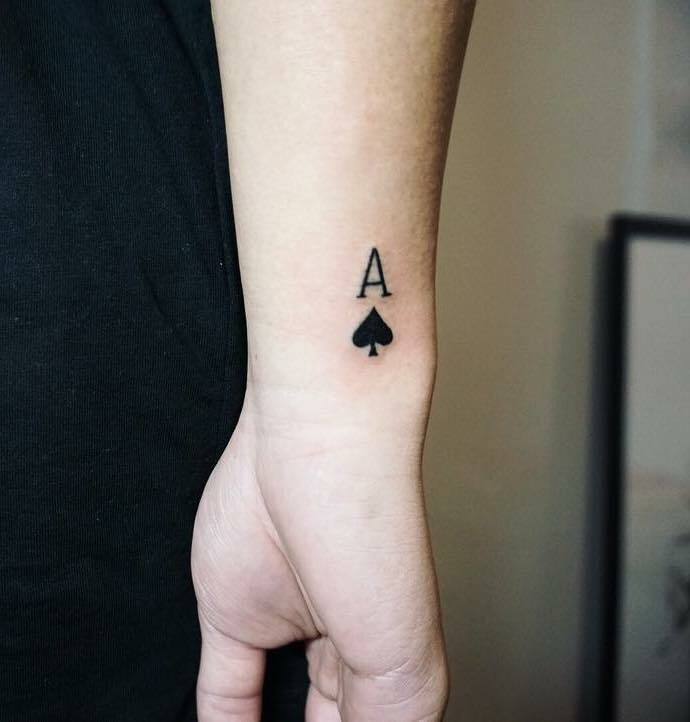 Today an ace is associated with playing cards and is typically the highest card in a deck and so it has come to mean good luck. 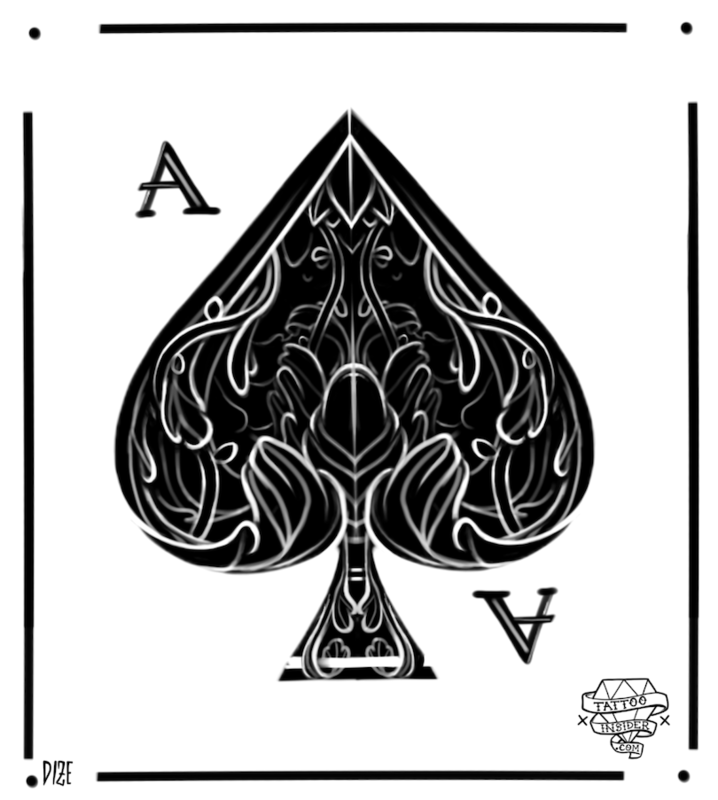 The ace of spades, also known as the death card, is not only the highest card but also the most prominent and decorated card in Anglo-American packs of cards. 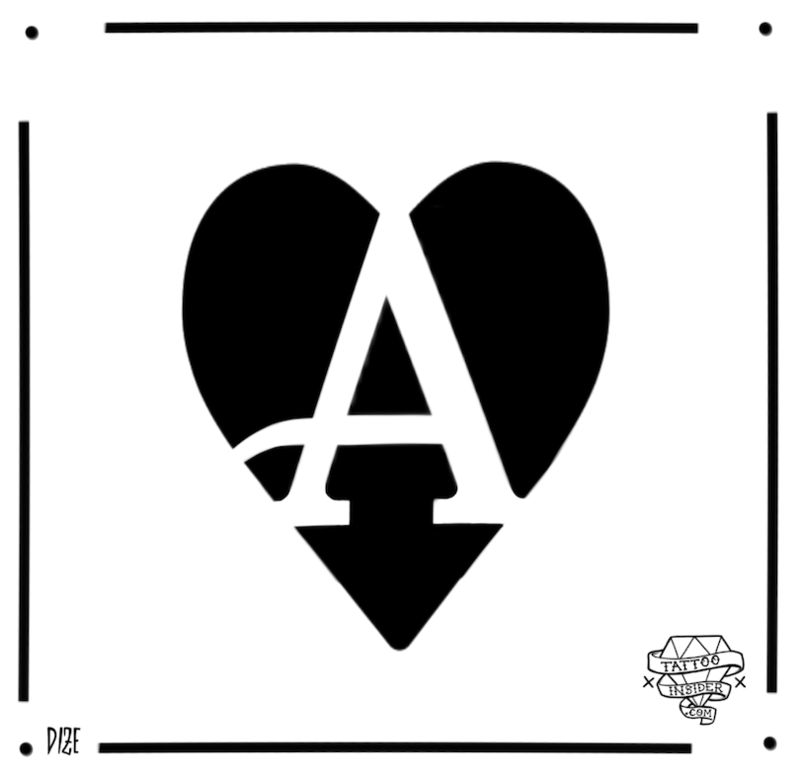 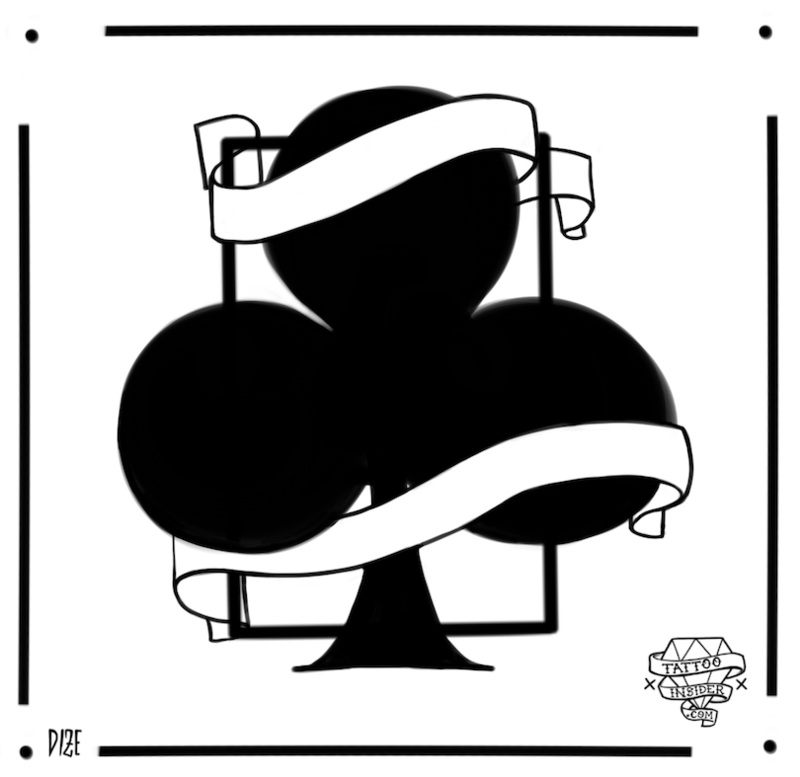 The design is normally the card company’s logo, a tradition which began in eighteenth century England when English printing houses were required to display their insignia on the ace of spades to prove payment of taxes. 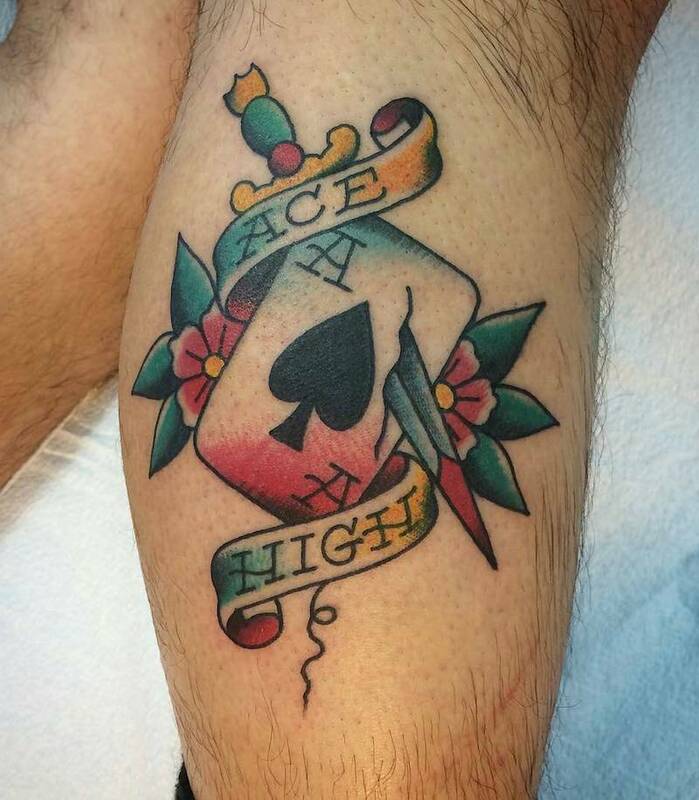 An ace tattoo can have a variety of meanings. 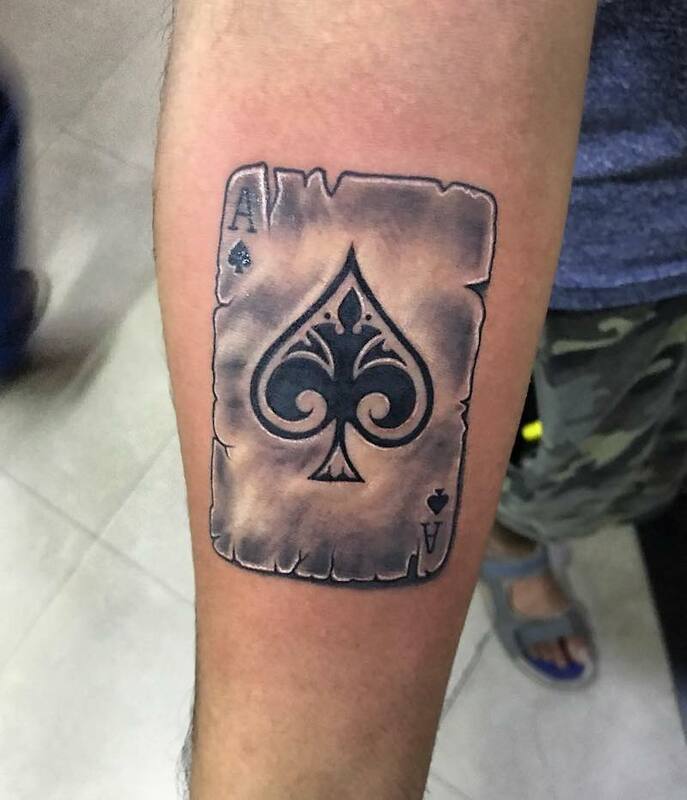 It can represent good luck, playing cards, gambling, a love of poker, or even mastery of something. 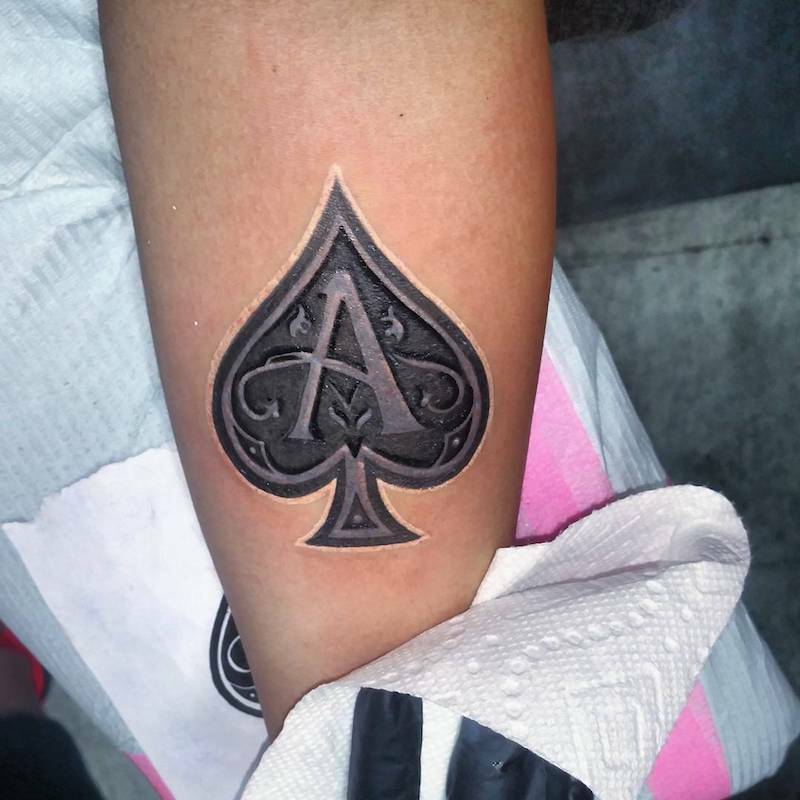 Whatever it is you have mastered (aced), you can symbolize your mastery with an ace tattoo. 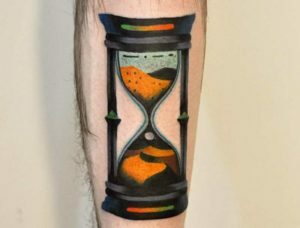 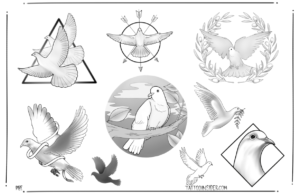 Scroll down for 5 free ace tattoo designs. 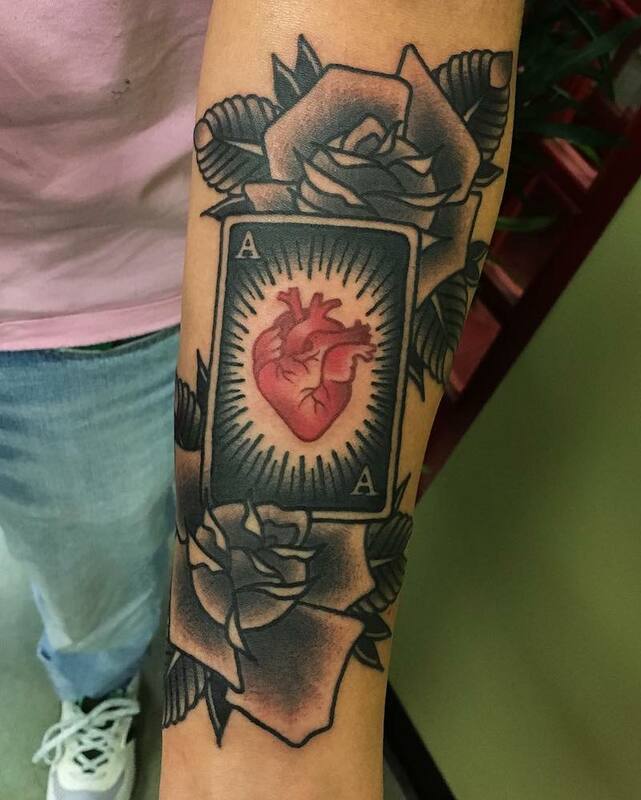 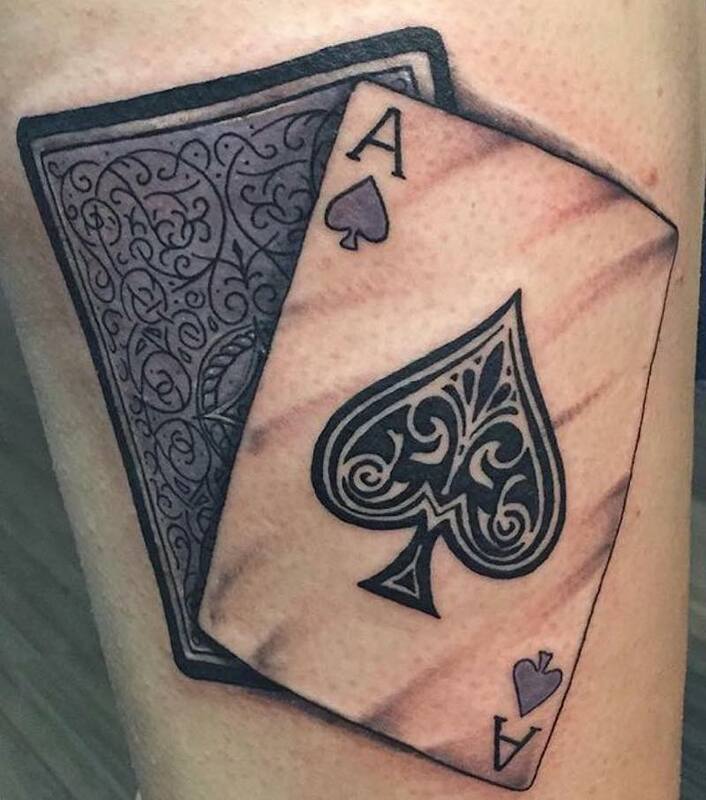 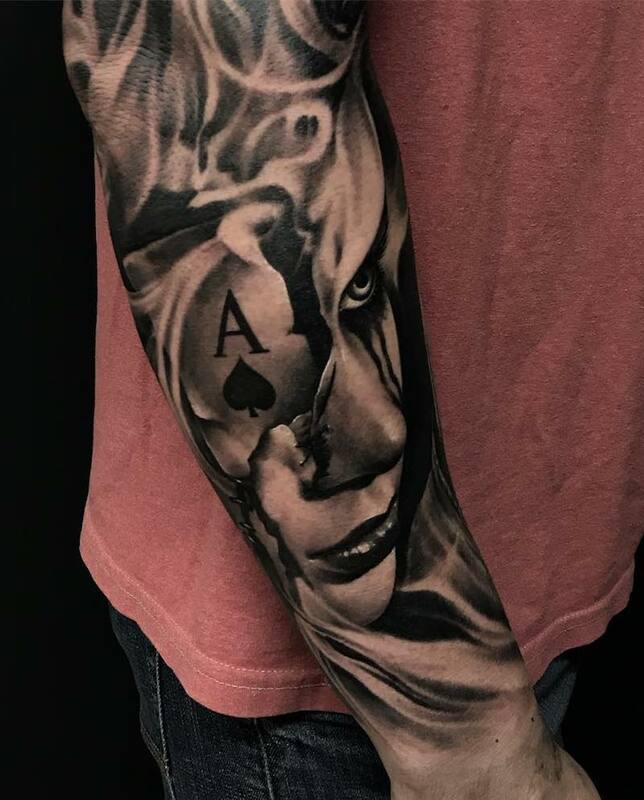 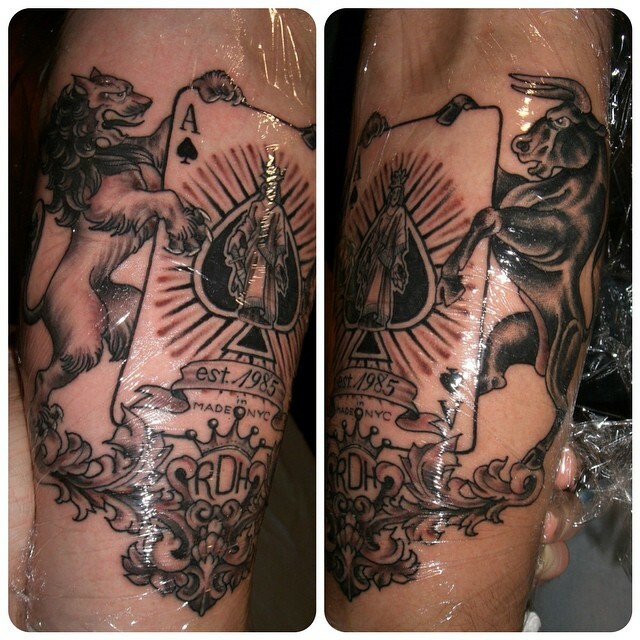 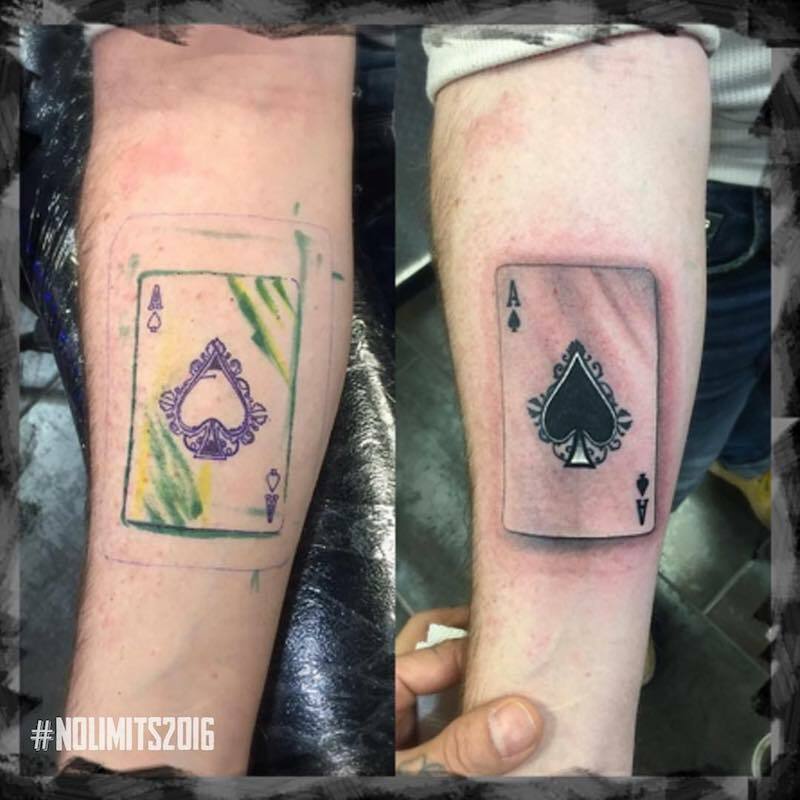 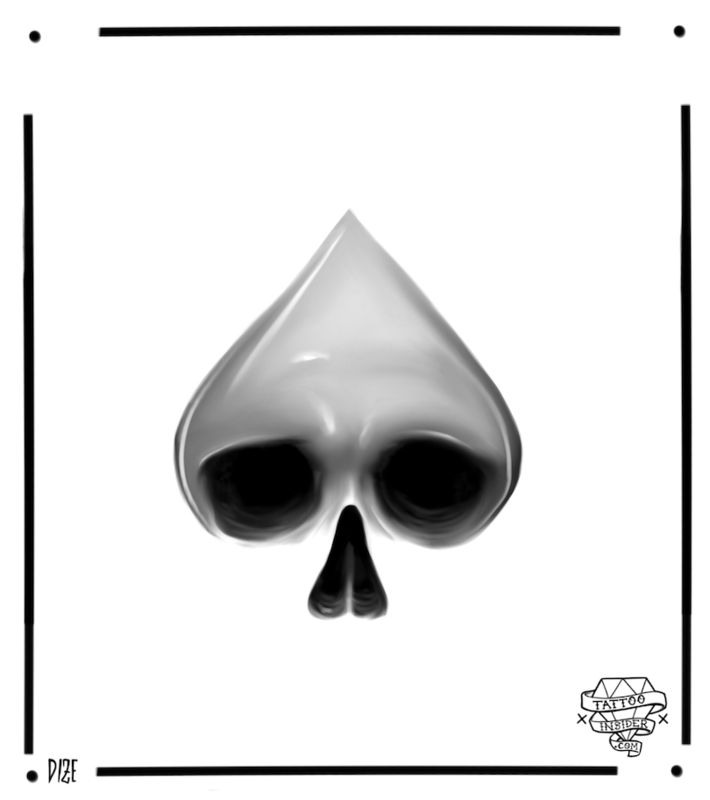 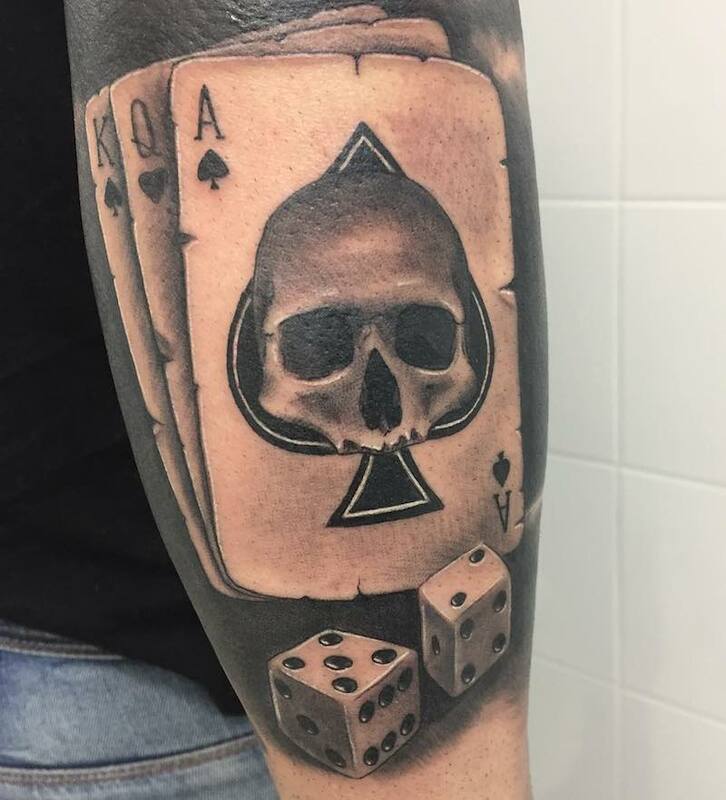 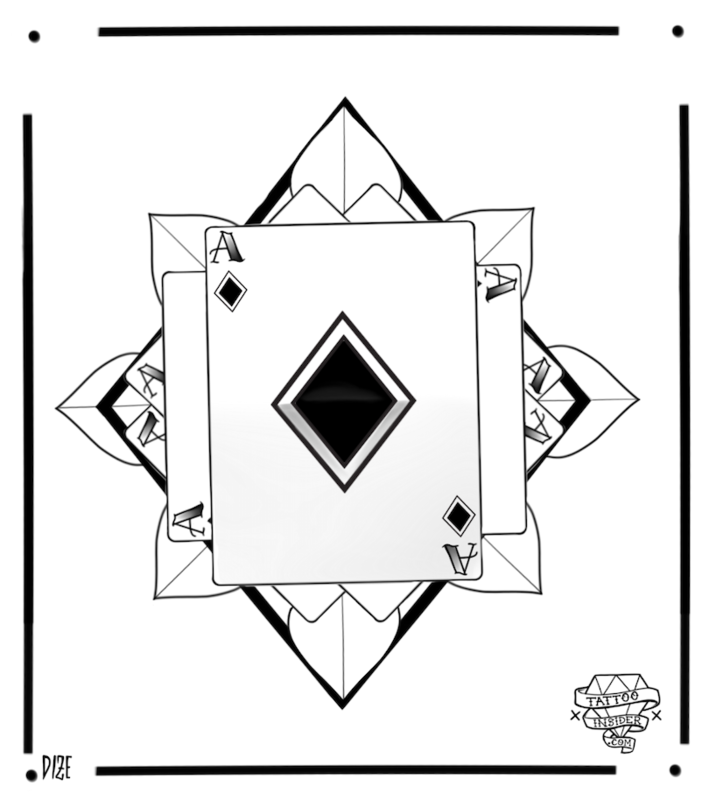 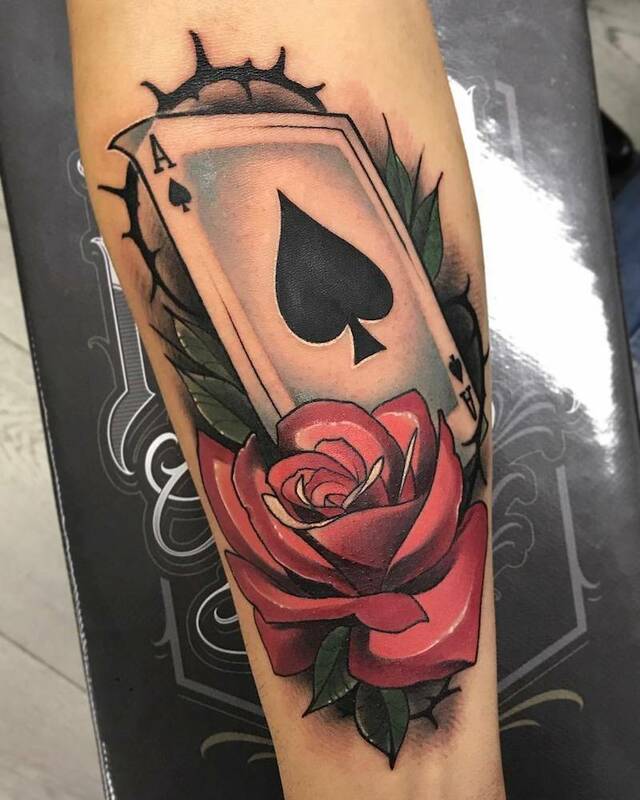 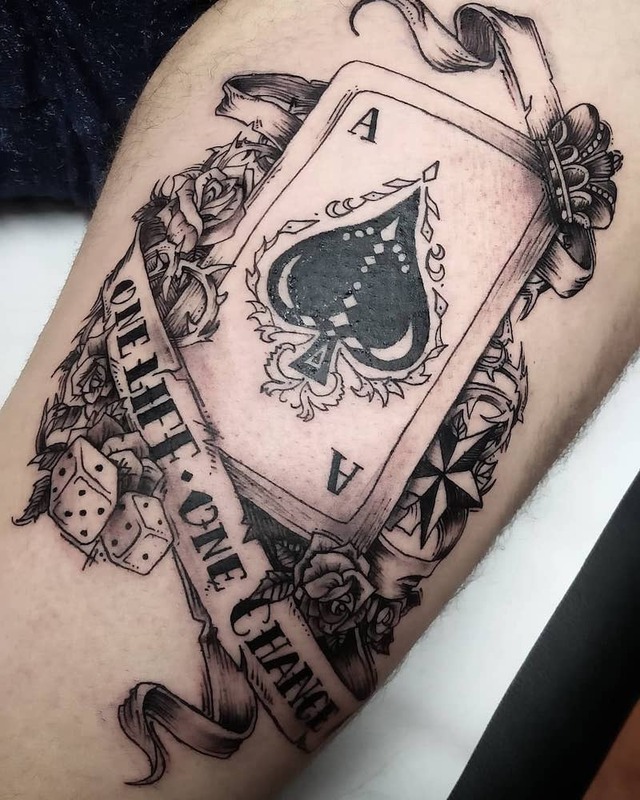 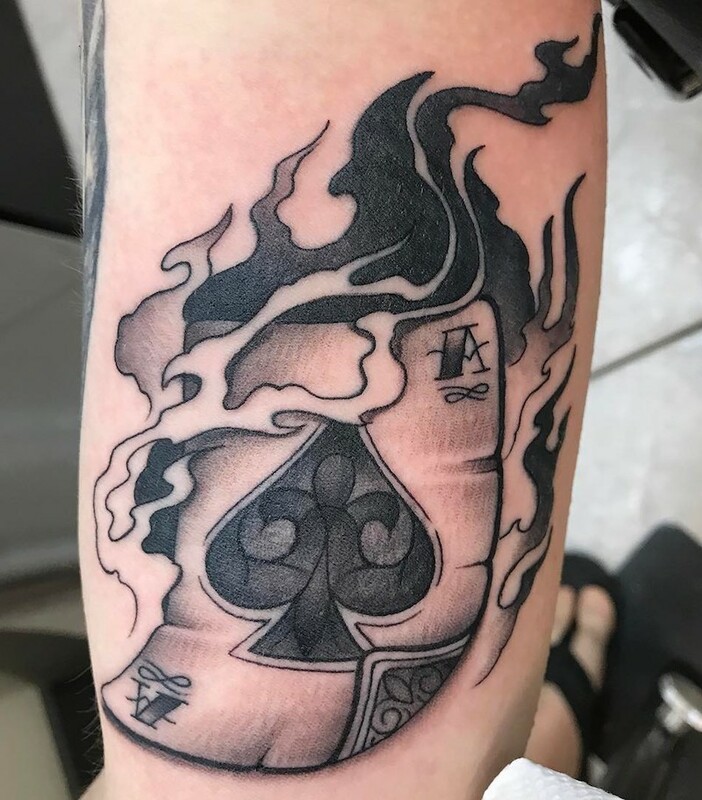 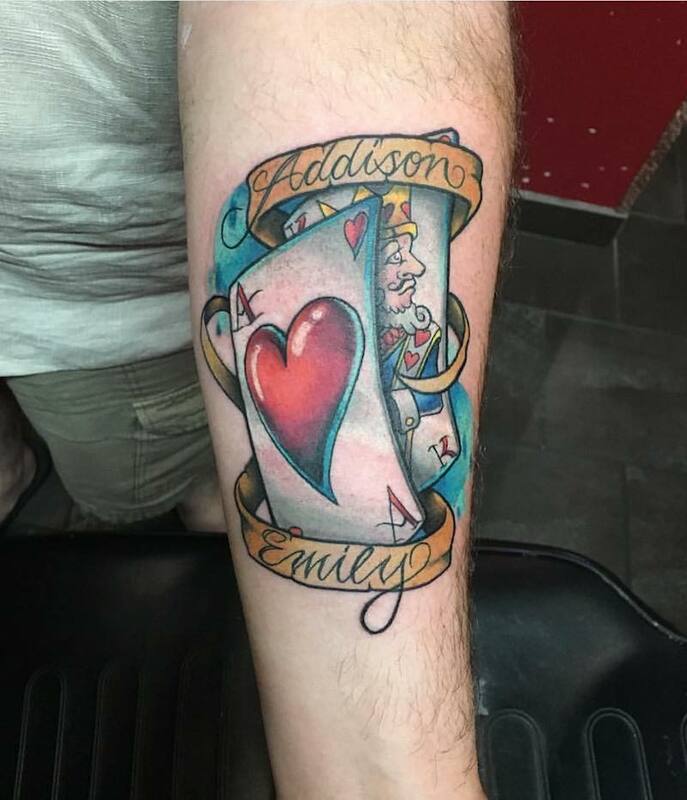 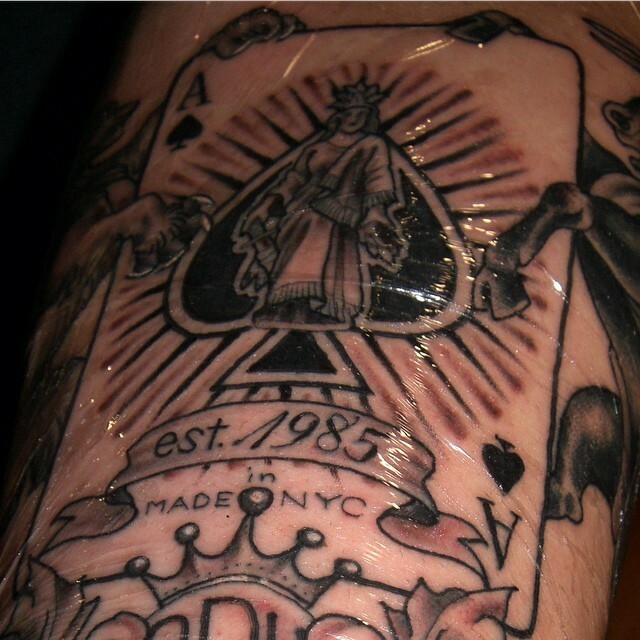 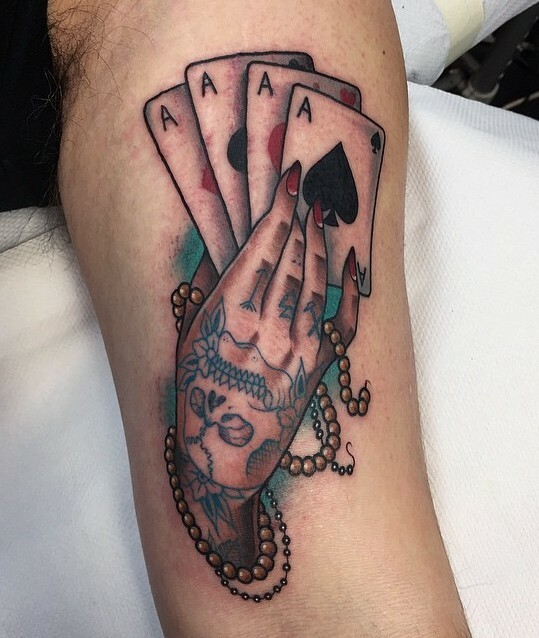 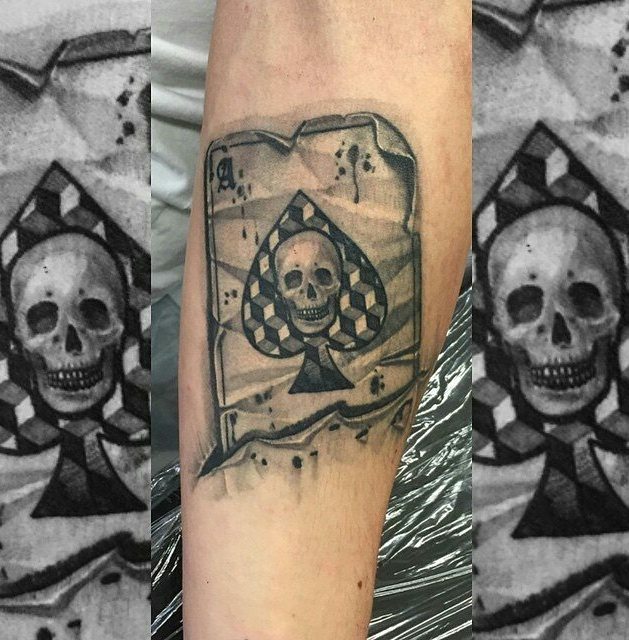 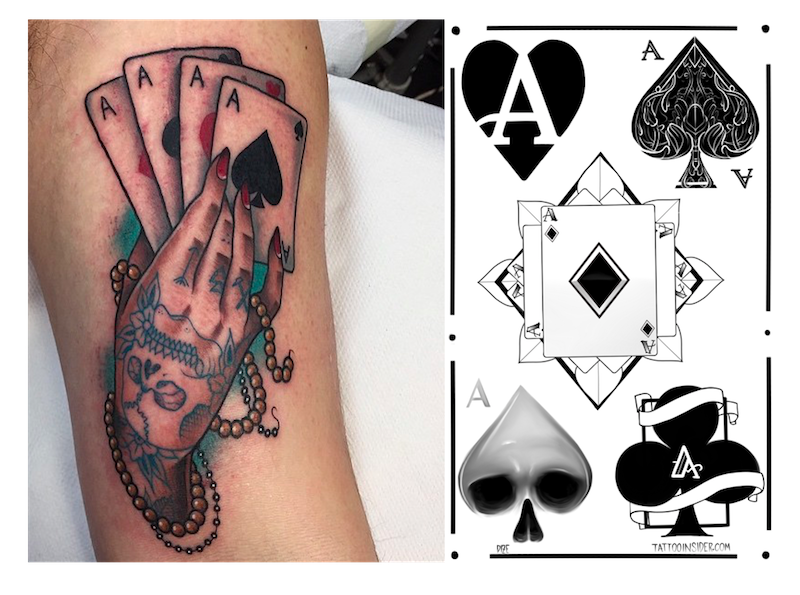 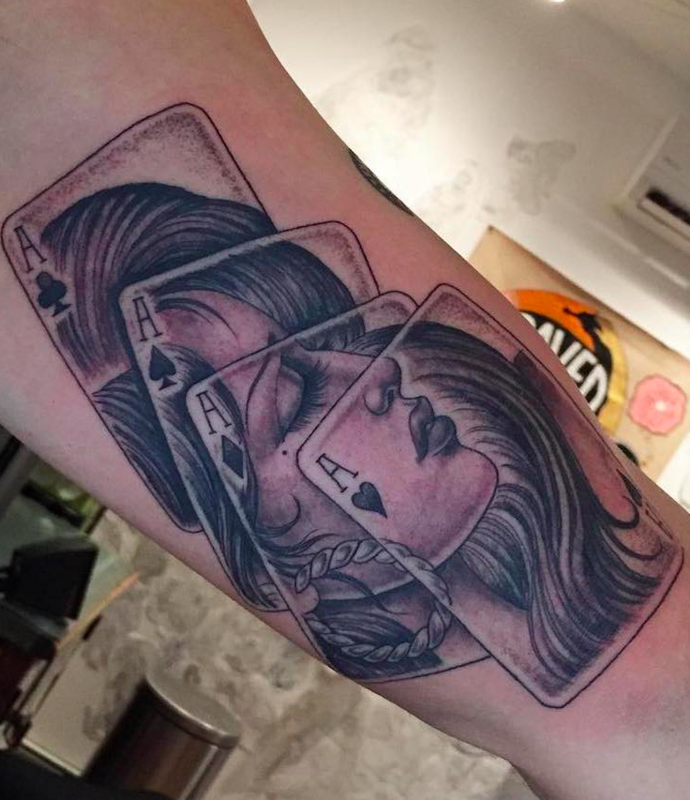 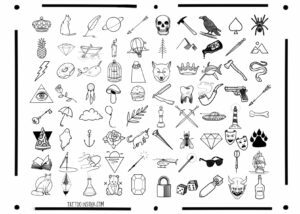 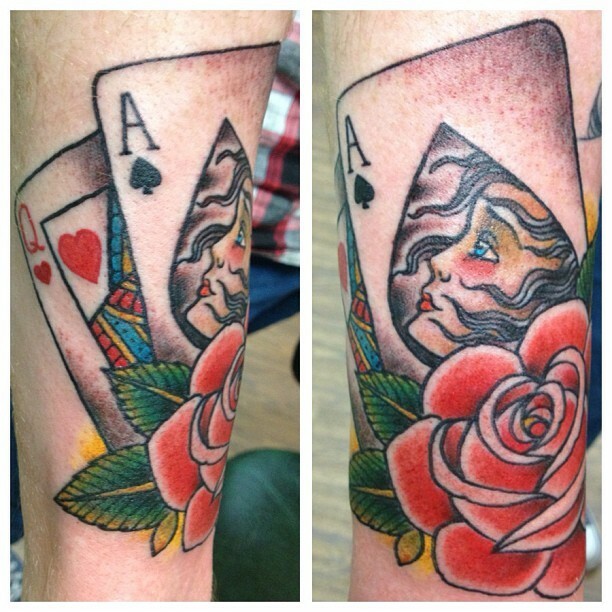 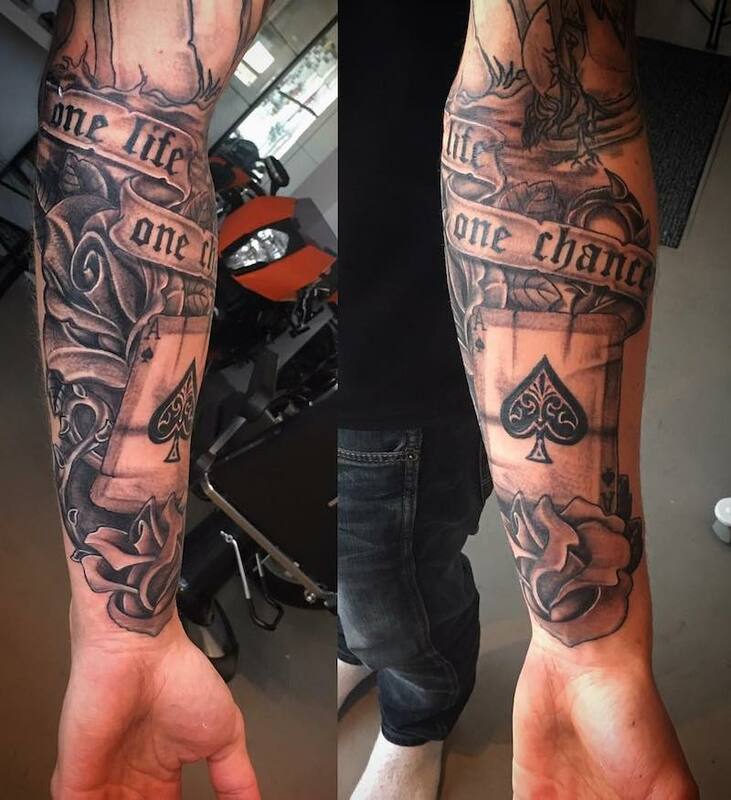 We have created 5 free ace tattoo designs including aces from all four suits plus an extra ace of spades tattoo design to represent the death card.